Numerous guests coming to Montenegro want to visit Durmitor National Park which became a part of UNESCO World Heritage in 1980. Beautiful untouched nature is the main attraction of the national park and makes every effort to visit these mountains worth it. MH Travel Agency decided to form a tour which visits mainly Durmitor National Park and Tara River Canyon. We can say that MH Travel Agency is the only agency in Montenegro organizing a tour around Black Lake in Durmitor National Park and zip line across Tara River Canyon. This tour takes 14 hours, but the memories of this tour will last forever. Let’s start. 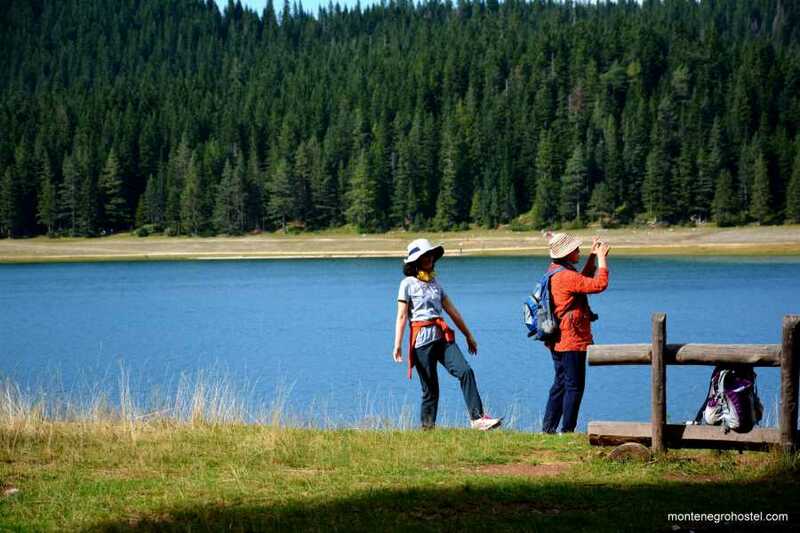 There are numerous agencies, especially from Budva that organize a visit to Durmitor National Park. The itineraries are often very intense, in some cases they exceed 14 hours, departures are mostly very early in the morning and the duration of the stay at Durmitor is too short. Kotor agencies in the vast majority do not organize passage through the canyons, which reduces the beauty of this tour. The Durmitor tour organized by MH Travel has since this year a New Concept and we believe that we will fully satisfy even the most demanding guests with this itinerary. Our tour gives the most complete experience of Durmitor and the canyon. When you have already decided to partake in a journey of nearly 200 km in one direction, we will give you a good reason why you did it and you will not be disappointed. In our opinion, no arrival to Durmitor is complete without a drama made by two canyons, the Morača canyon (the second largest canyon in Montenegro) and the famous Tara River canyon (the largest canyon in Montenegro and the deepest canyon in Europe). As the culmination of this road comes the sensational bridge on the river Tara, then the fascinating and enormous mountain massif of Durmitor. The tour departs from Kotor at 8 in the morning, which is the standard time for all our trips, and after a maximum 45 minute drive we arrive in Budva and pick up guests from Budva. To go through the canyons we have to pick the way through Podgorica because it is the only possible option. In Podgorica, we will pick up the guests who are moving from that city and immediately continue our trip. The path to the Tara bridge leads us to the right side of the canyon so you can constantly watch the Morača River and later Tara. As soon as we leave Podgorica, the canyon of the Morača River begins on the 5th kilometer. At first, the canyon is not so deep, that after half an hour of driving you will reach the place where the canyon becomes very deep and where we will make a photo stop. After the photo-stop we will climb to the top of the canyon at a height of 1060 meters above sea level. The view of the Morača Mountains and the canyon is breathtaking. Low population density in the country has left this entire area around the Morača river canyon intact, which is precisely what made the that railroad between Bar and Belgrade so popular. When we come to the top, we will take a break in a small village called Crkvine of 25 inhabitants. It is the place where the two rivers originate. Morača River goes towards the Skadarak Lake and the Adriatic Sea, and the Tara River towards the Drina-Danube and the Black Sea. On exactly that place is the traditional restaurant where we will rest, eat breakfast and continue the way to the bridge on the Tara River. First we pass the city of Kolašin, then the city of Mojkovac and then enter the phenomenal canyon of the Tara River, bordered by "black pine trees" which literally grow from stone and can grow up to be 50 meters tall. Just at the place called the Black Pond Rainforest is where you can see black pine trees upclose and we will make a photo stop. It is also the beginning of the Tara river canyon. After the photo-break, we continue the journey and after 20 minutes of driving you will see several campsites from which rafting takes place on the Tara River, and after the camps and rafting, we will reach the spectacular bridge on the Tara River made without the use of mechanization less than a hundred years ago. We will take a break for one hour, which is enough for the guests to take the zip line over the canyon or spend time sightseeing. Most of the guests take the zip line, so in the peak of the season you sometimes have to wait 45 minutes, but still this little delay will not disturb the time for Durmitor. After visiting the bridge, we go towards the Durmitor mountain massif and its most attractive part for visitors called Crno Jezero. We will reach the lake in a half hour drive and on this road we will pass the mountain town Zabljak. When we get to the lake, we will make a big enough break so that everyone has time for what they want. Those who are hungry will have lunch, whoever wants to hike will make a circle around the lake of 4.5 km for about 1 hour and 15 minutes. Those who like water activities can rent boats or swim. Whatever you do, you can be comfortable with the timing and simply enjoy the clean air and untouched nature. About six o'clock in the afternoon, we will be returning slowly by another way, through the plateau of Durmitor, through the magnificent slopes and beautiful nature. Transfer is organized by air conditioned minivans or minibuses. NOTE:Guests who want to bring their luggage on the tour and finish the tour in another city (Kotor or Budva or Podgorica) can easily do that. There is no luggage fee.